Driving along the parkway in La Mauricie National Park in Mauricie, Quebec when the moon is full, you will find a special glow that enlightens the area. The Autumn colors adorn the roadside as the moon settles in over the tree tops creating the perfect setting for a romantic evening. 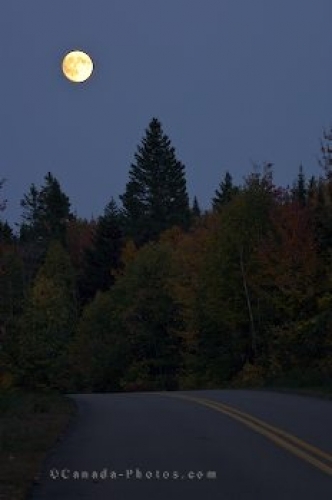 Picture of a full moon that emits a glow throughout La Mauricie National Park in Quebec.